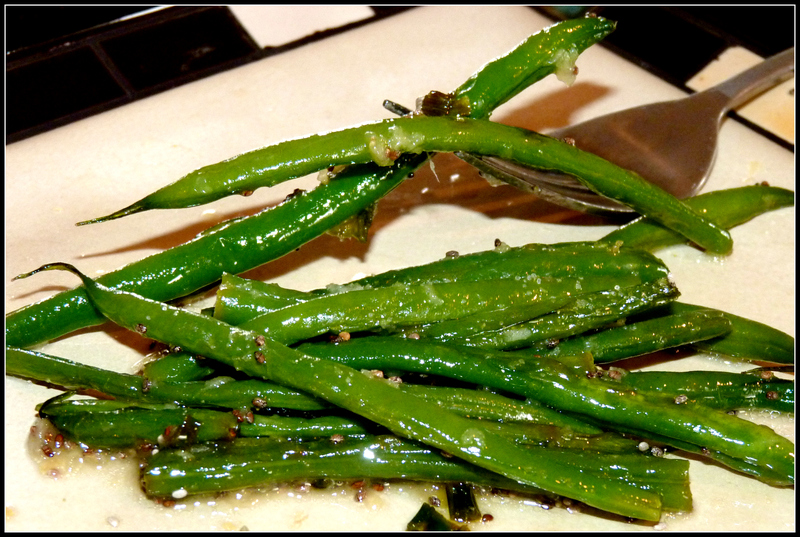 Rich green beans, pungent ginger and bright lemon are complimented by chia seeds, honey, scallions and coconut oil to make a yummy and cleansing side dish. 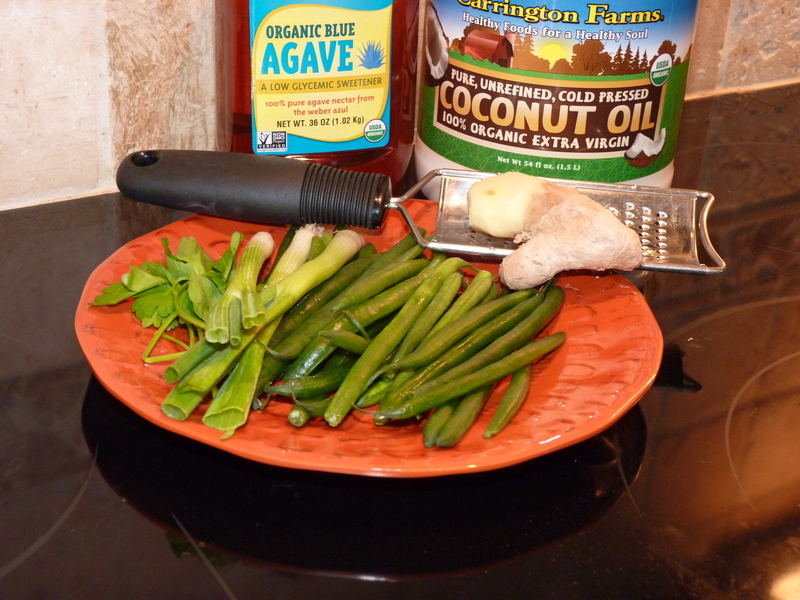 Put back in cooking pan with coconut oil and green onions then simmer on medium heat for 3-5min. Add shaved ginger, chia seeds, lemon juice and casually toss for another couple minuets. Drizzle with agave nectar, add parsley and toss. Add kosher salt to taste. Serve immediately and enjoy!